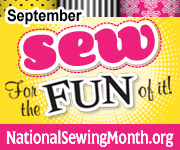 It is National Sewing Month - September 2012. So to start of this special month just right, I finished a UFO. I had started this quilt (gasp!) last year. I had it in two pieces that I joined using my favorite Quilt As You Go method. Then I put on the binding. It is now in the wash. But before it went in the wash, I started outside to take photos. What? The sun is shining, but it is raining! Plan B is put into effect. One side was made to be the front, the other was made to be the back. Now I think I have changed my mind. Which do you think should be the front? Well, blue Gene (hahaha), I think I like the second photo best. I think it is the colors on the second photo I like best. It also looks more spontaneous...like I imagine you to be. Btw, you told me to call you blue Gene...lol. Have a great week end! I love both sides of the quilt really! I also think the more colorful second photo is the front. I don't know which is front and which is back - but I love it both ways. loving both sides. looks great! Kuddos to you for the finish! I finally finished the Desert Mirage quilt I've been working on almost two years! I like the second photo the best. Like Karen said, it looks more like the Gene we know. I have used Thangles once, but loved them! Suspect you choose the more colorful side as the front, me too! Think I better finish my placemats this month, felting just doesn't qualify for sewing month! That is a cool quilt! 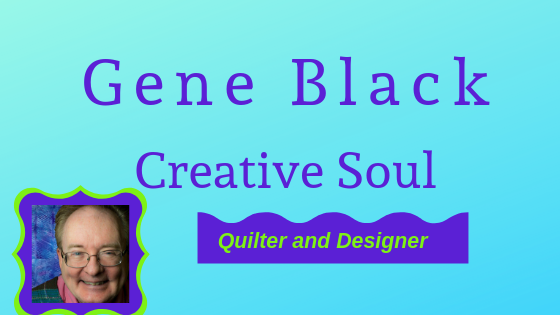 I try to treat every month as National Sewing Month! Oh dear, you mean I have to choose? Okay, I really like the back! I would choose the colorful side...you know me! This looks really nice. Love the colors. Good for you, Gene! I don't know that I can pick a side off the bat. It would depend on the setting and the use. One side feels very patriotic to me and the other is more playful. Two for the price of one, really! I agree with Melissa, two fer one! 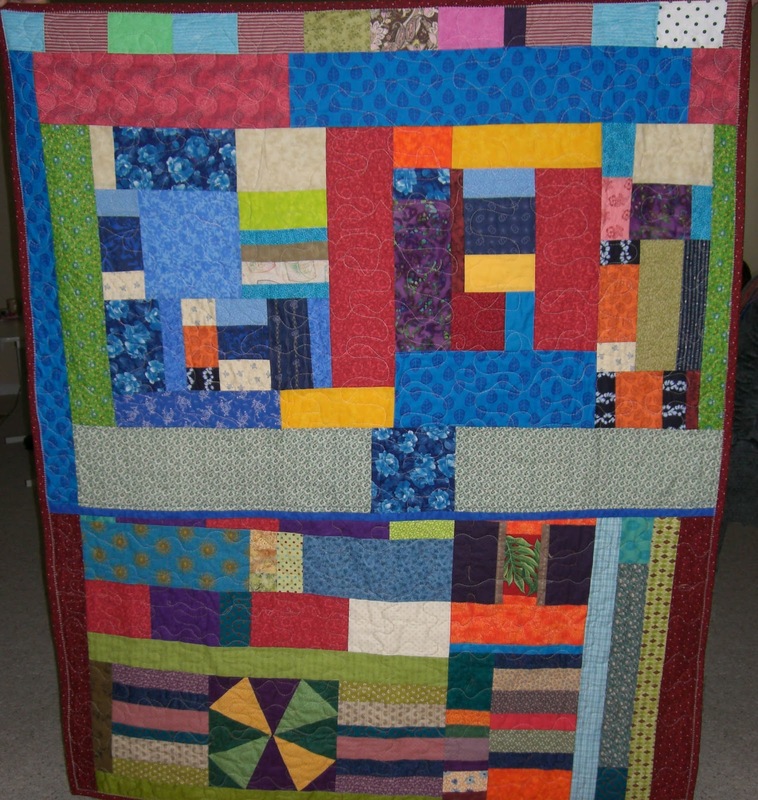 That is great as a quilt as you can adapt it and change it over whenever you want. I really like it! 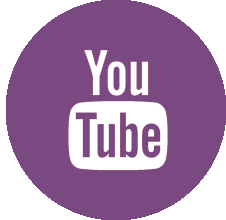 Mug Rug 2 - and giveaways!